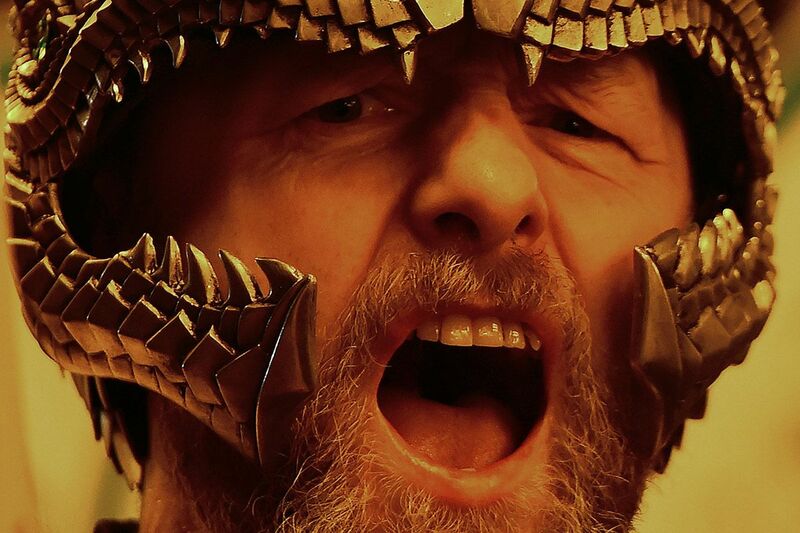 On Tuesday, Europe’s biggest fire festival Up Helly Aa lit up the sky as Lerwick, in far nothern Scotland's Shetland islands, celebrated the Vikings who once ruled there. The event takes place annually on the last Tuesday of every January, and now attracts visitors from all around the world. While it starts with a morning parade through the snow, it’s at night that the festival is at its most enchanting, and when its strange costumes and customs come alive. 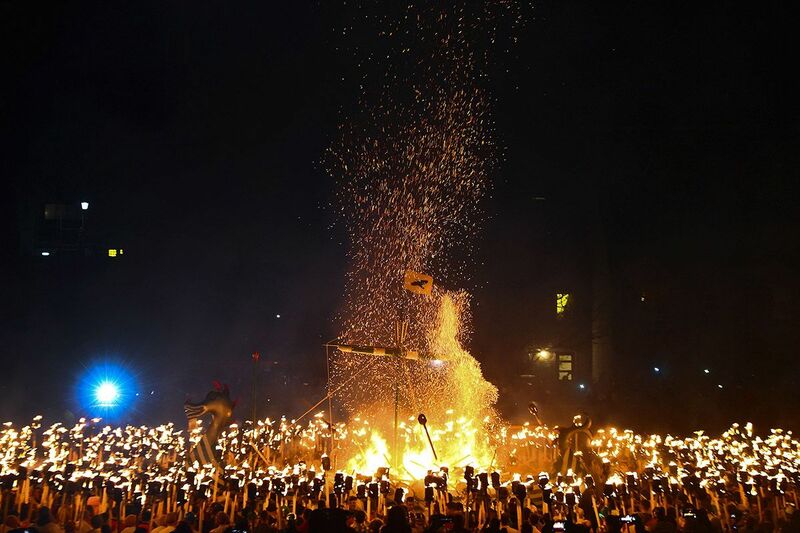 Each year, kerosense-soaked torches are held aloft as men donning traditional Viking attire—shields, helmets, capes—parade through watching crowds. 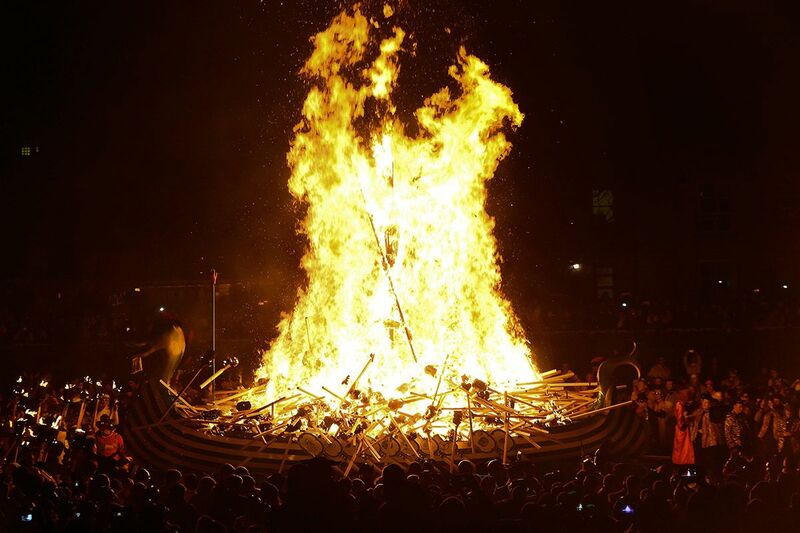 The celebration culminates in the ceremonious burning of an enormous replica Viking ship. But alas, only the “Guizer Jarl and his Jarl Squad” (that is, the official “Vikings for the day”), are allowed to participate in this climactic fire. Vikings ruled the Shetland islands over a 1,000 years ago, after invasions that began around 800 A.D. The so-called “Viking Age” in European history is typically drawn from around that time until 1066, but Shetland was ruled by the Norse until as late as the 15th century, when the islands were annexed into Scotland. 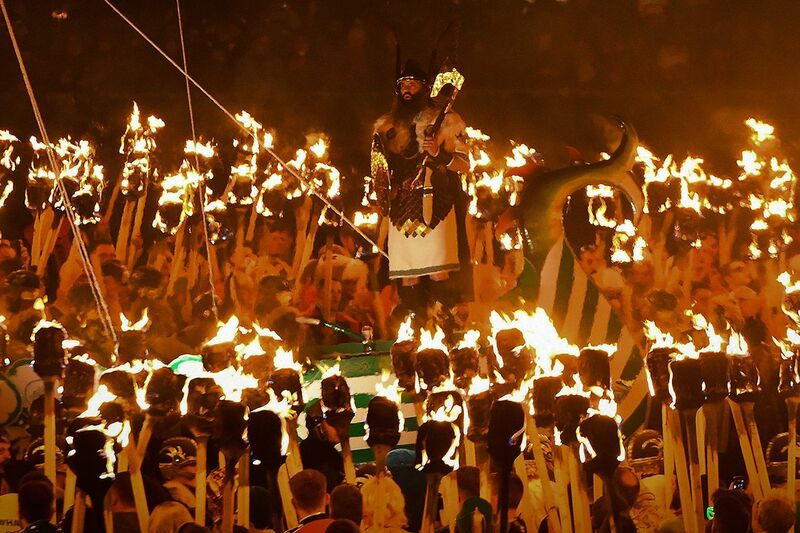 For all the festival's enduring success, however, along with the alluring popularity of its archaic rituals, there are growing calls that Up Helly Aa needs an update. Women are not allowed to take part in the procession, and a movement is growing on the island to overturn this convention. In August 2018, a group of four women became the first to attempt to register for the male dominated event. They called their group #MeToo, hoping to capitalize on the global movement empowering women. Their application was rejected. 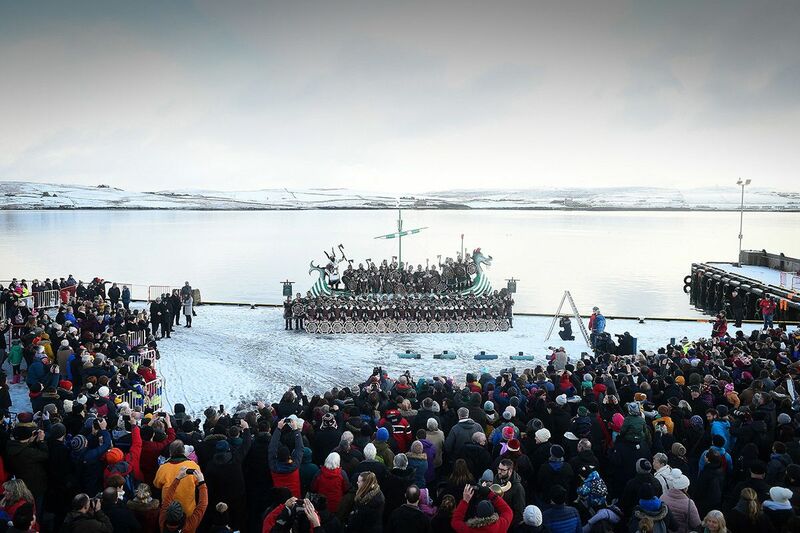 Lerwick is used to gale force winds, and it is one of the festival’s claims to fame that “there will be no postponement for weather,” regardless of the conditions. But how it copes with these winds of change remains to be seen. Guizer John Nicholson leads his Jarl squad through the streets of Lerwick, Shetland Islands. 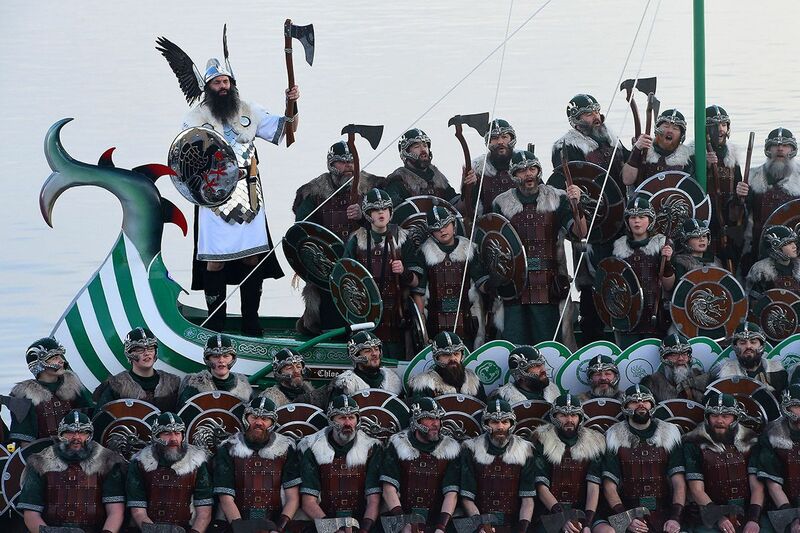 The Vikings pose on their longboat before setting it alight. Guizer Jarl John Nicholson leads the chants as participants dressed as Vikings pose on the replica longboat. Guizers dressed as Vikings from the Jarl Squad march toward the longship with burning torches. Guizers dressed as Vikings from the Jarl Squad gather around the longship with burning torches. 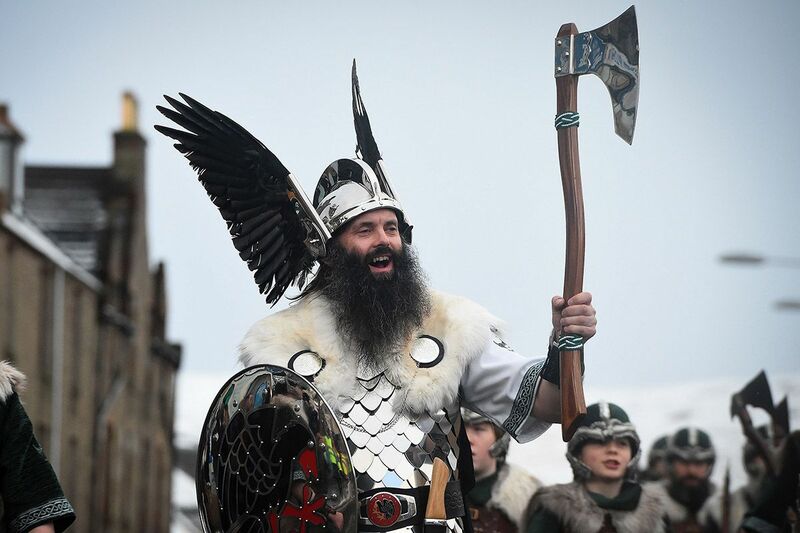 A Guizer from the Viking Jarl Squad takes part in the Up Helly Aa festival in Lerwick, Shetland Islands. 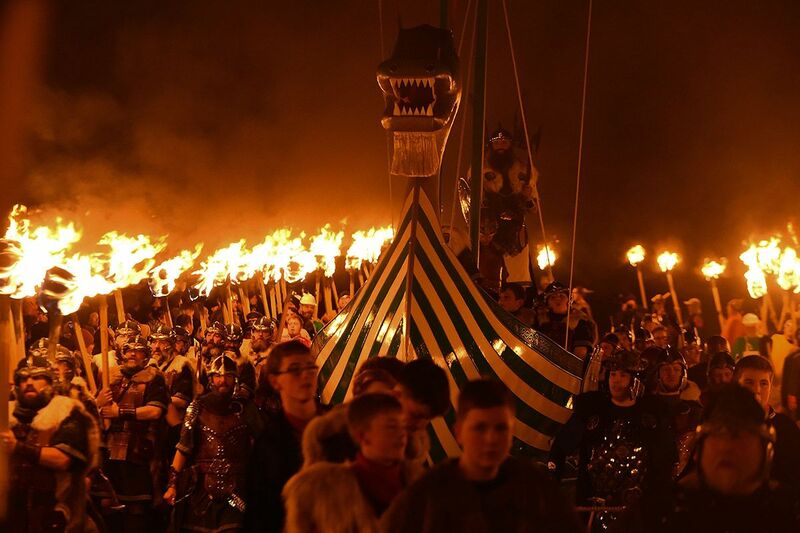 Vikings from the Jarl Squad surround the replica longship with burning torches as the Guizer Jarl stands aboard. 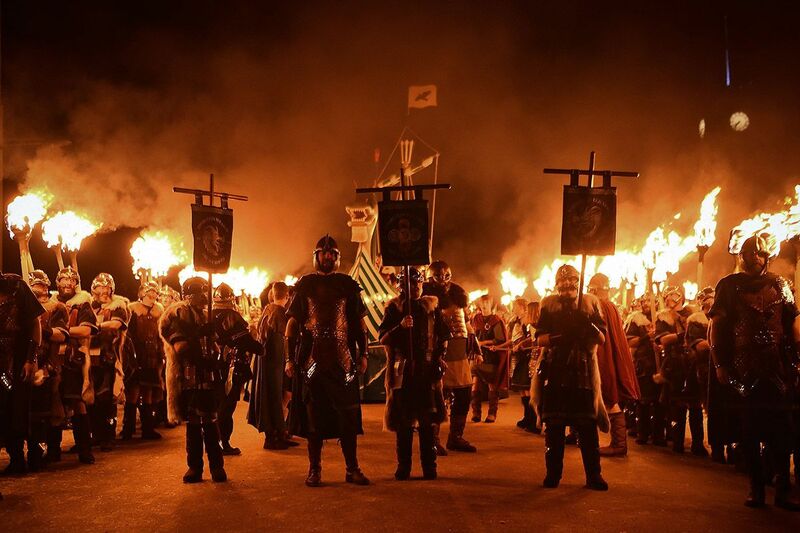 Guizers dressed as Vikings from the Jarl Squad set fire to the longship with burning torches as they take part in the Up Helly Aa festival in Lerwick, Shetland Islands. 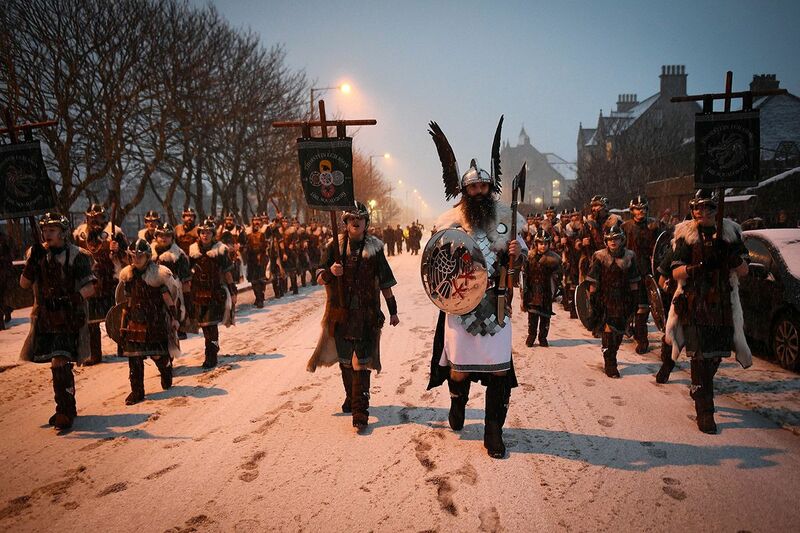 Guizer Jarl, John Nicholson marches his squad through the snow-covered streets of Lerwick, Shetland Islands. 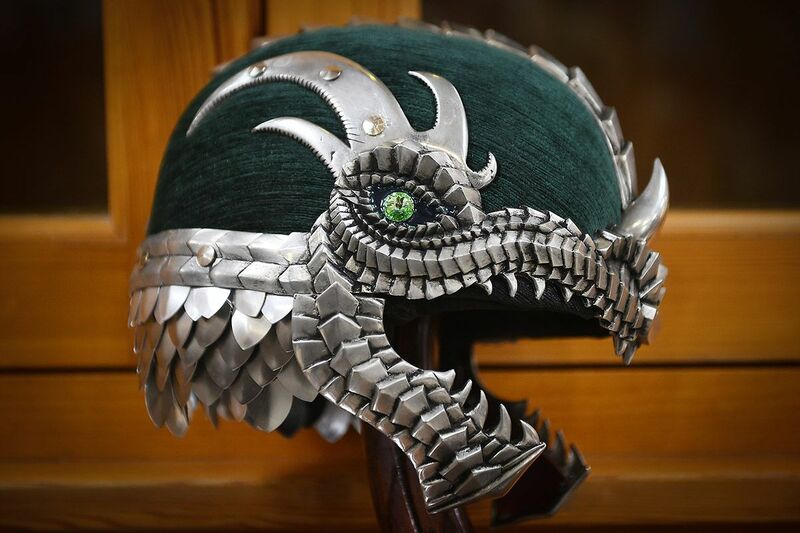 A helmet, part of a Viking costume, is seen before the Up Helly Aa festival. 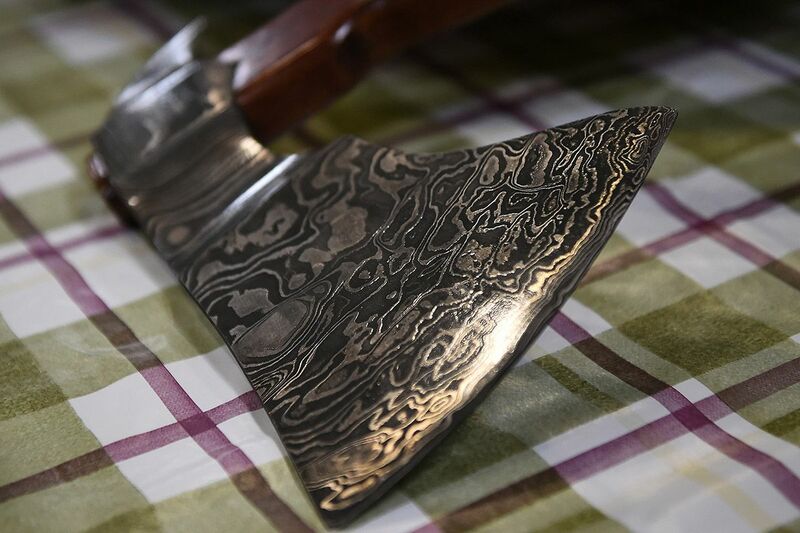 A close-up of a Viking ax brandished by a participant in the Up Helly Aa festival.